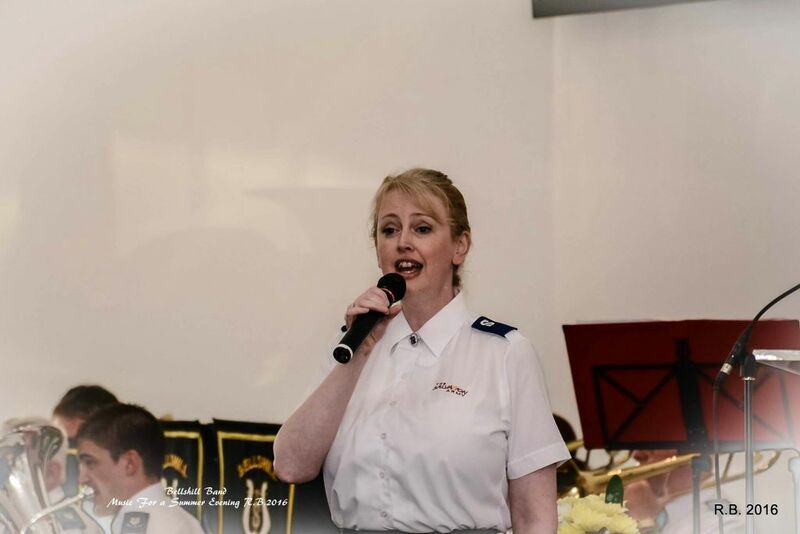 On the evening of Friday, 3 June 2016, during a week of beautiful summer weather, the Bellshill Band (Bandmaster Yvonne Ferguson) celebrated their annual “Music for a Summer’s Evening” concert. This year’s special guest for the evening was vocalist Marjory Watson, accompanied on piano by Stuart Watson. With the hall almost full, the band got the program off to a great start with a new piece in their repertoire, On We March, followed by The Deep, Deep Love of Jesus. Marjory Watson then presented her first set of songs, beginning with Get Happy (accompanied by the band), and continuing with Wouldn't It Be Loverly, I Could Have Danced All Night, andA Change in Me. The concert continued with more items from the band. Principal cornet Alex Ramsay played the solo My Love Is Like a Red, Red Rose, followed by the band performing another new piece, Salsalvation. Marjory Watson then provided three more songs, including Journey to the Past, You Know Better Than I and I'm in His Hands. 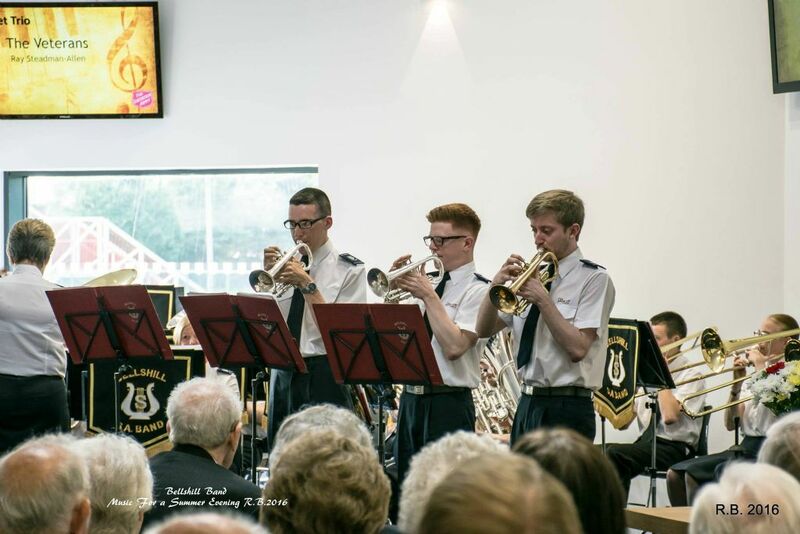 The band then continued with a cornet trio, The Veterans, featuring three of the younger members of the group, Joshua Harvey, Christopher Keane, and Robert Butters. After a congregational song, during which a collection was taken in aid of the corps building fund raising over £400, the band played Swingtime Religion. This was followed by a Bible reading and thought from Band Sergeant David Kendall and the band's presentation of Prelude on “Lavenham”. The special guest ended her contribution to the night's program with three more songs. These included There Is a Saviour, I'm Finding, and Unexpected Song, the latter accompanied by the band. The band closed the evening with another item new to their repertoire, Celebration of Contemporary Gospel Song. 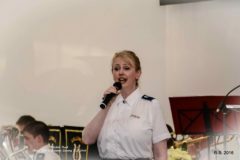 This article was posted in News and tagged Alex Ramsay, Bellshill Band, Christoper Keane, concert, David Kendall, Joshua Harvey, Marjory Watson, Robert Butters, Stuart Watson, Yvonne Ferguson on 6 September 2016 .